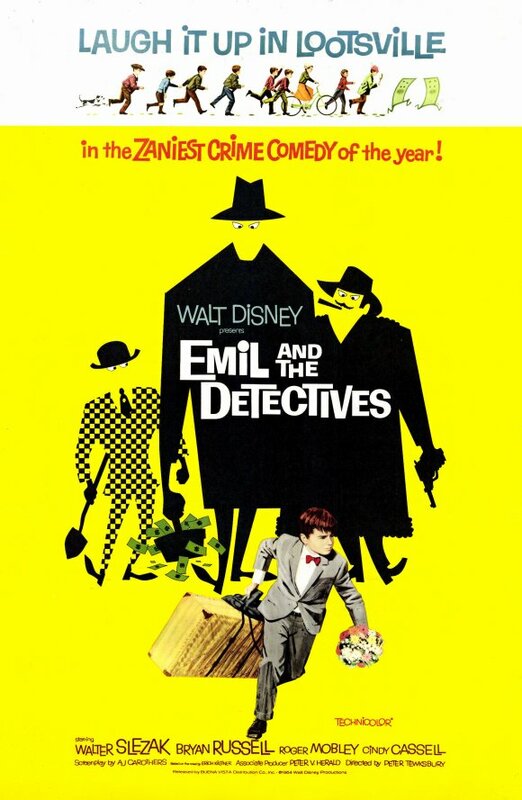 “EMIL AND THE DETECTIVES” | THE CLASSIC DISNEY LOVER'S GUIDE! THE CLASSIC DISNEY LOVER'S GUIDE! In 1964, Walt Disney Studios, presented the crowning achievement of it’s live action catalog, “MARY POPPINS”. With all the pomp, praise and hoopla that film received, it made for a hard act to follow. 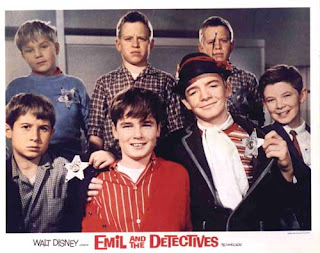 In December of 1964, Disney released it’s live action feature film “Emil and the Detectives”. When talking to people about Disney films, this wonderful film tends to be left out or totally forgotten. It is a shame because, it is without doubt one of the most thoroughly enjoyable and entertaining films that the folks at Disney produced in the 1960’s. 10 year old Emil is on his way to visit his grandmother in Berlin. His mother entrusts him with money to be delivered to the grandmother upon arrival. The money attracts the attention of a thief named Grundeis who has a well-known talent that has earned him a nickname as the “Mole”. The thief steals the money from Emil on the bus trip. 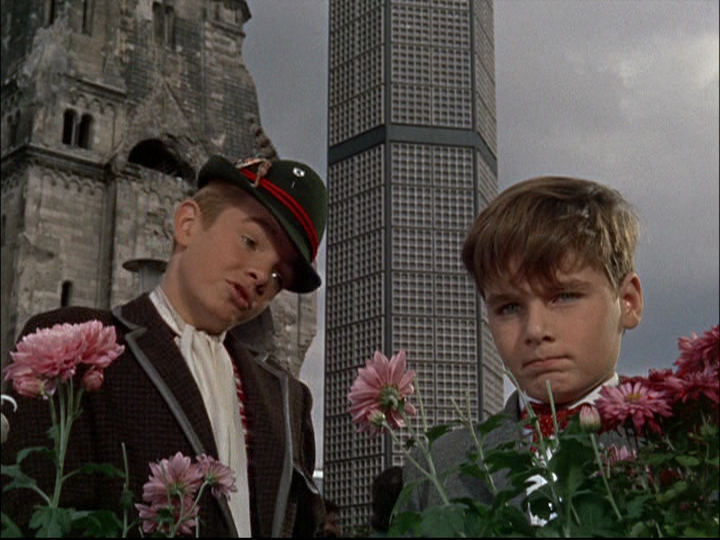 Arriving in Berlin, Emil enlists the help of a young boy named Gustav who lends his services as a detective to track down the thief. Soon Gustav and his friends find that Emil’s money is only a small fraction of a much larger scheme at hand. The story for “EMIL AND THE DETECTIVES” is taken from a classic German children’s book by author Erich Kastner. Kastner also wrote a short story some years before, that Disney adapted known as, “THE PARENT TRAP”. The story of “Emil” was adapted for screen by Disney studio writer, A.J. Carothers ,who would also pen the screenplays for “The Miracle of the White Stallions”, “Never A Dull Moment” and “The Happiest Millionaire”. When the film was in the initial pre-production phase, the story was updated from the 1920’s of the original story to the present-day 1960’s. Filming took place on location in Berlin and with many interior scenes and the tunnels shot at the Templehof Studio. Always looking to maintain costs, the studio utilized the enormous amount of talent in the area, and several of the supporting cast and crew were real German’s. Bryan Russell, who was an American child actor, and would continue to act in a few Disney productions, most notably in “THE ADVENTURES OF BULLWHIP GRIFFIN”, plays the lead role of Emil. Roger Mobley, who had starred 6 months earlier in Disney’s tv film “FOR THE LOVE OF WILLADEAN”, plays Gustav. 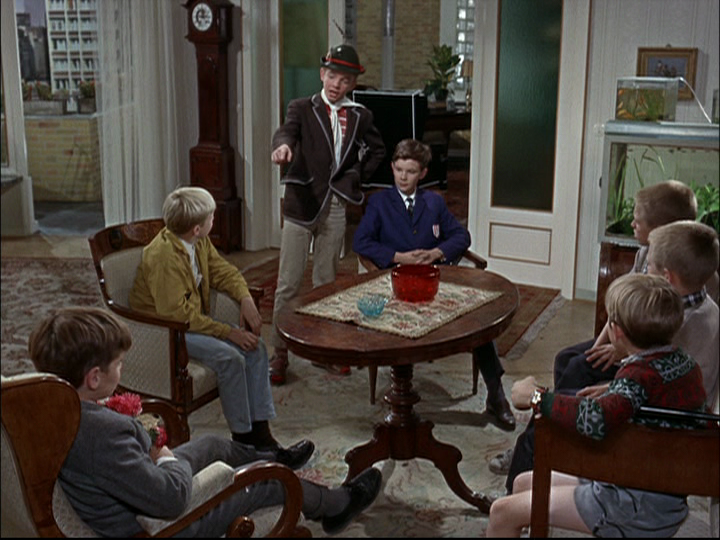 When watching this film, you can not help but enjoy the child actors, especially, Roger Mobley. 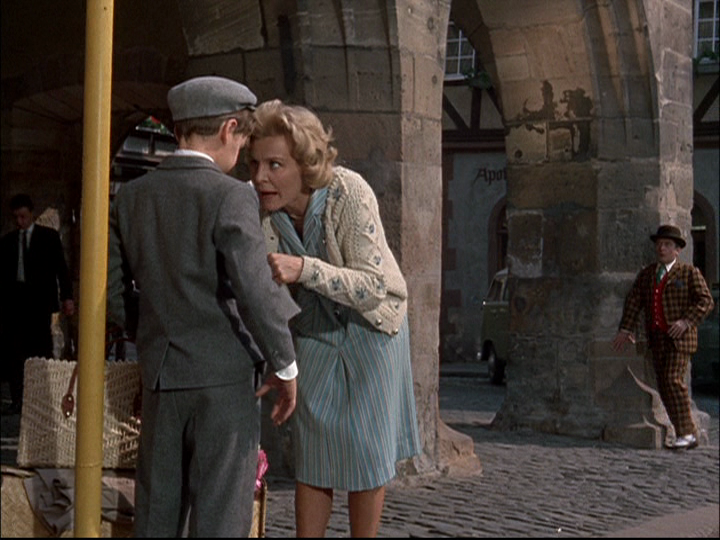 He would later go on to appear in several Disney productions, most notably the “GALLEGHER” series, but, in his role of Gustav, he absolutely “steals the show”. 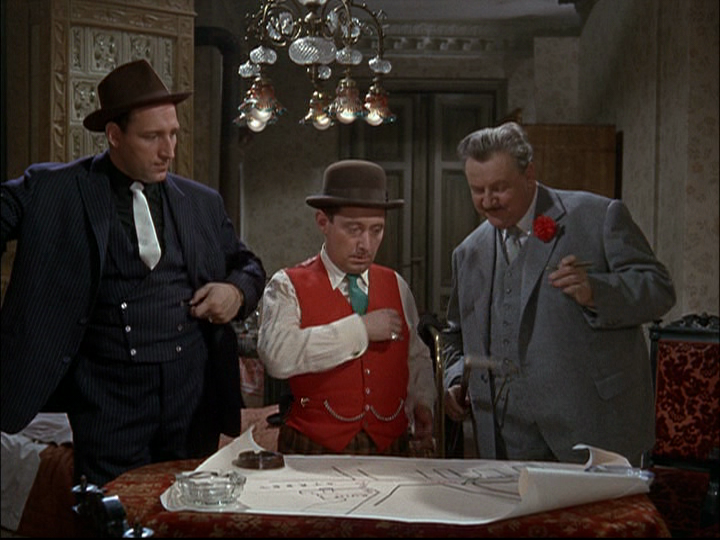 Actor Walter Slezak, known for his Tony Award winning role in “FANNY”, plays the lead villain, The Baron. Heinz Schubert, a popular German actor, whose role as the Mole, is a wonderful comedic performance with timing and mannerisms that are wonderfully executed. 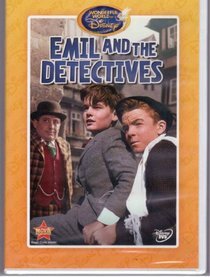 July 2011, saw the Disney Movie Club issue “EMIL AND THE DETECTIVES” as a new entry to it’s line of Exclusives. Being a dedicated fan of the film and wanting to have a dvd copy, rather than my old, worn vhs, I immediately ordered it. The dvd is cased in a white eco-friendly snap case with the cover art showing Emil, Gustav and the Mole. Inside the case, is a redeemable movie rewards code. The disc is a reflective cover with the title of the film printed. There is a basic title menu with options for play and scene selection. The film is presented in 1:33:1, which is not the original theatrical aspect ratio. I believe the film is open matte, because, when enlarging the frame on my widescreen tv, I did not notice any framing issues. The quality of some Exclusives can be hit or miss, and I can happily report that any worries of a horrible exhibition should be cast aside when viewing this particular film. The image on this film is highly commendable. While not one of the best remastering job I have seen Disney perform, the image is exceptionally crisp with lines defined and colors visually strong and not muted. The picture is not washed out at all. I am not sure where Disney located the master that they used for this dvd issue, but, it has either been stored properly or Disney has done some light remastering to this print. There are some specks and flicker on the picture, but, overall the film is a huge!! Improvement over it’s vhs release. One main highlight was Disney has used a master that contains the animated credits, which, were part of the original film. The previous vhs release had only used a simple title card. This is a fine film with a great cast, and well rounded story. It is one of the stronger film releases in Disney’s live action catalog that definitely deserves a strong fanbase and recognition. While the 19.99 price tag from Disney Movie Club may ward off some potential customers, it is well worth investing to have this film in such a fine presentation. This entry was posted in Uncategorized by lovinclassicdisney. Bookmark the permalink.